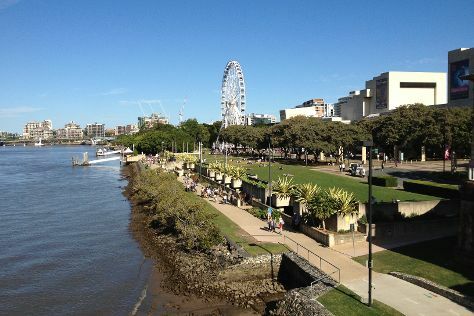 Venture out of the city with trips to Moffat Beach (in Caloundra), Cape Byron Lighthouse (in Byron Bay) and Brisbane (South Bank Parklands, Mount Coot-tha Lookout, & more). The adventure continues: laugh and play at Sea World Theme Park, kick back and relax at Surfers Paradise Beach, enjoy breathtaking views from SkyPoint Observation Deck, and find something for the whole family at Sling Shot & Vomatron Amusement Rides Gold Coast. For photos, traveler tips, reviews, and more tourist information, use the Gold Coast holiday planning app . If you are flying in from Bahrain, the closest major airports are Brisbane International Airport and Gold Coast Airport. Expect a daytime high around 32°C in March, and nighttime lows around 23°C. Wrap up your sightseeing on the 31st (Sun) early enough to travel back home.